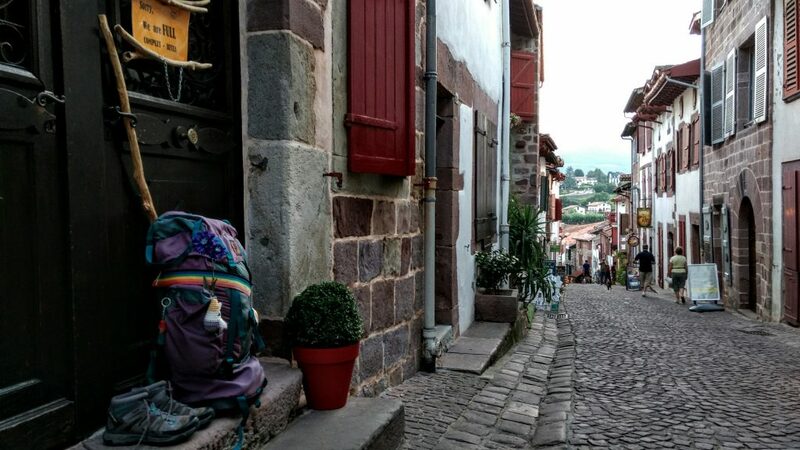 I started to walk the Camino on the third of september in Saint Jean Pied de Port. 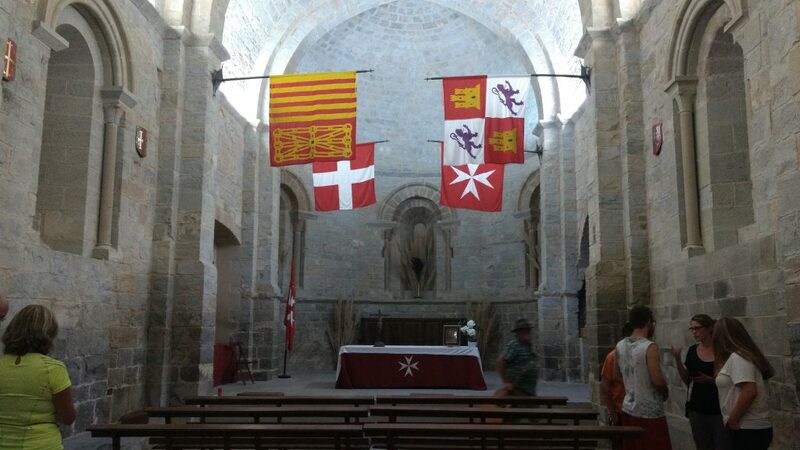 The original startingpoint for the french to go to Santiago de Compostella. 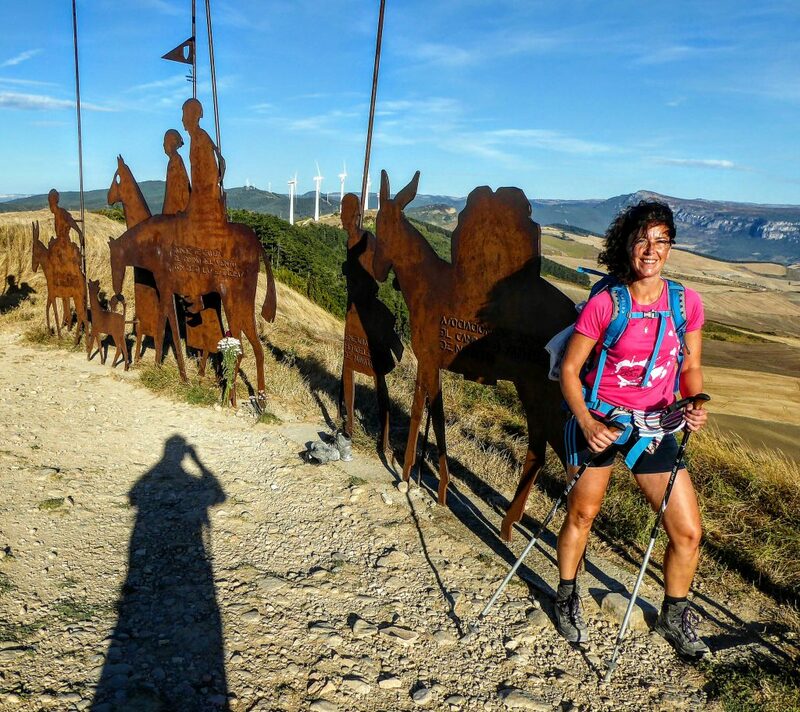 That route is called the Camino Frances and I’m now on day 11 and enjoying it still very much!! 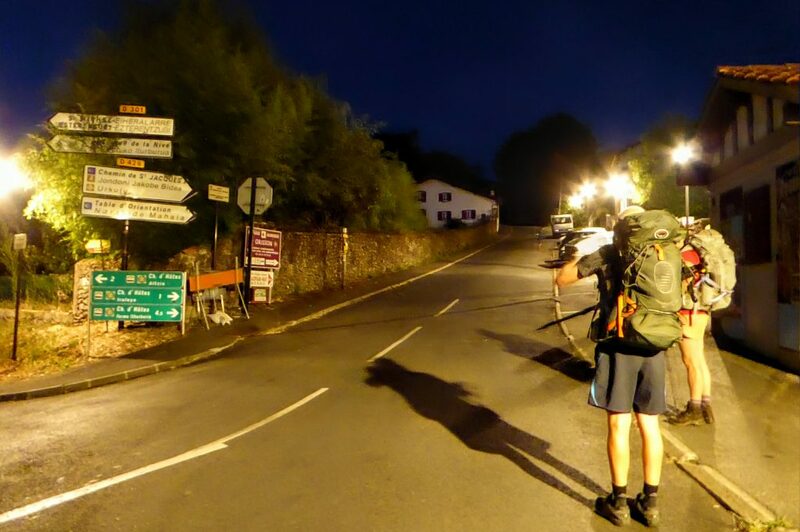 The Camino Frances has a totall length of 780 km so I’m not even half way down this long road. I still enjoy every day walking, seeing the landscape change and the people around me walking with me, passing me by or leaving because of other plans/issues or not having enough time for it all. It has been a great journey so far!! 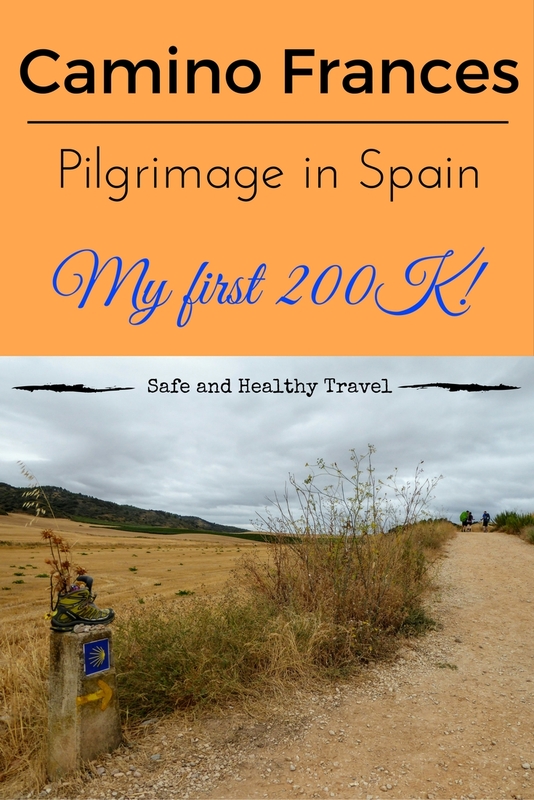 After 9 days I arrived at Santo Domingo de la Calzada and at that point I had reached 200K!! How good is that? 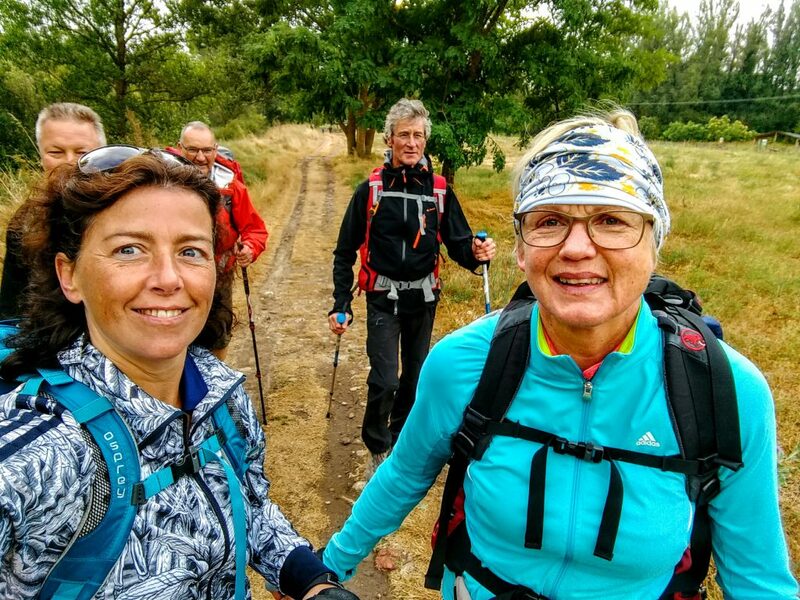 I had walked for 200 K in 9 days! 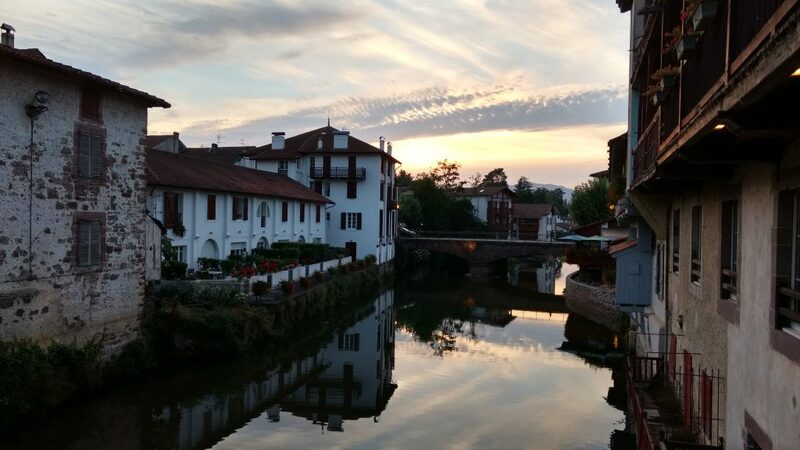 Over hills, over real mountains…through winefields and forests and so many villages!! 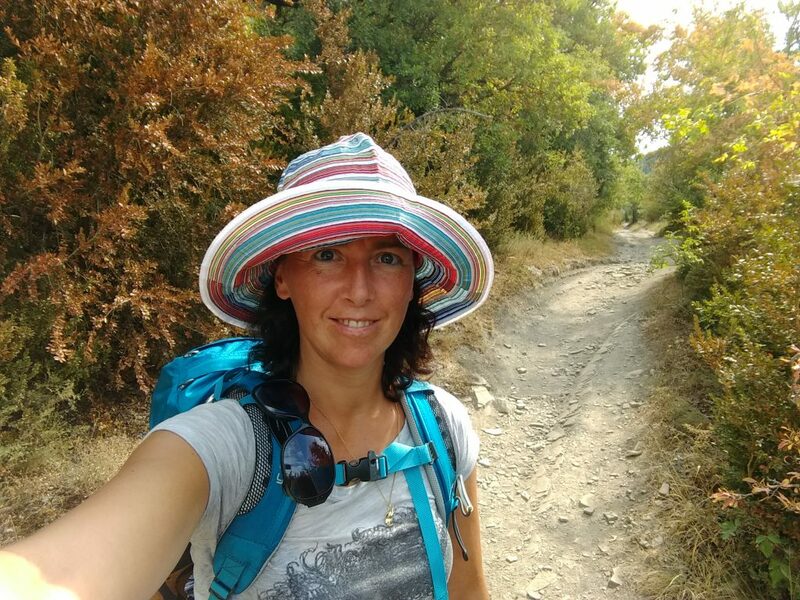 If you want to follow me on a daily bases I use the #CaminoSHT for almost all my updates on Facebook, Twitter and Instagram. Search #CaminoSHT and you will find me!! Here is a recap of those days for you! This is a rough day. 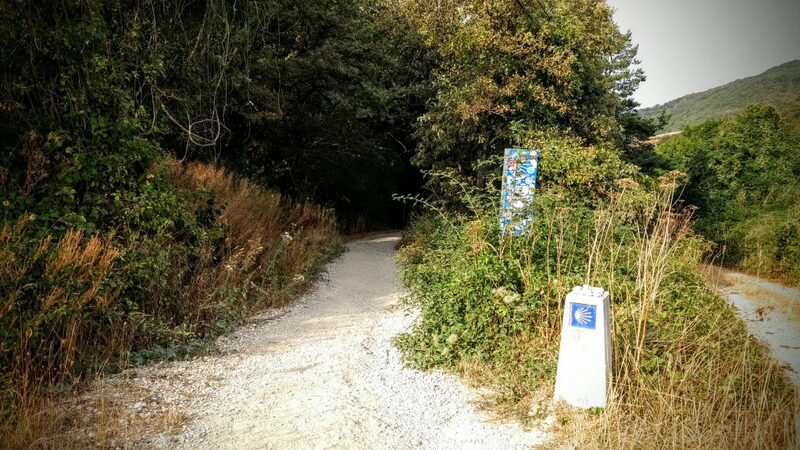 You start with the most difficult part of the Camino it seems. 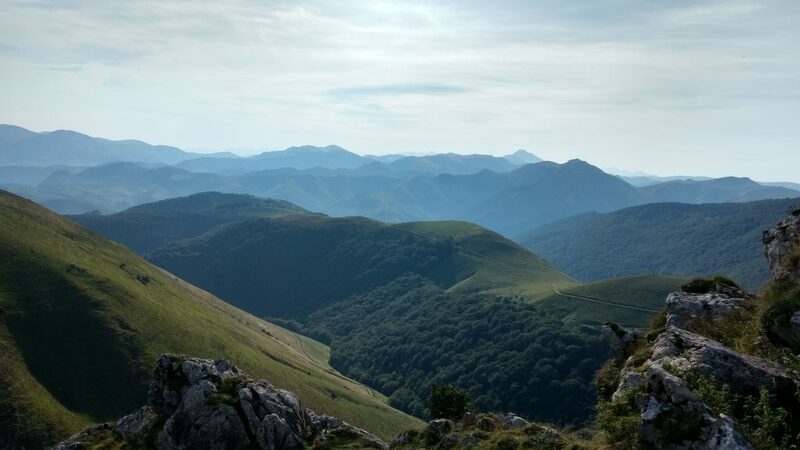 You have to cross the Pyrenees. I did practise at home, walked for almost 500K already but I couldn’t prepare myself for this. You have to climb over 1400 metres. The evening in SJPdP I had a pilgrimage diner and met other starters and the next morning I asked if I could walk with Clair and Jean Marcel, a couple from France that seemed very nice. Clair could speak perfectly English and I liked the way she had a open and really positive mind to everybody! The next morning at 7 o’clock we went up the mountains. Jean Marcel helped me to get it right with my sticks…which I had but never really used before… And the tempo they were walking was great for me. It was really challenging and once on the way it went great. The first stop was at Orizon, an albergue and restaurant. We had a coffee there and it tasted wonderful. I really needed it too and when we went on I felt like I could take on the world again. The hardest part had yet to come, two passes had to be done and we got out of the forest and into the open. The wind blew hard but that was great, it was warm and cooled us down a bit. The scenery was great and everybody we saw was friendly and working hard on the same struggle. It felt great to be there!! Once over the biggest climb we sat down to eat some food we had just bought. Clair had bought a great goatcheese and bread, I had some bananas and a nutrician bar. It all tasted great! The descent went well, we did it slow and really looked out for slipping and sliding down. I loved walking with Clair and Jean Marcel and I was sad to leave them the next day already. 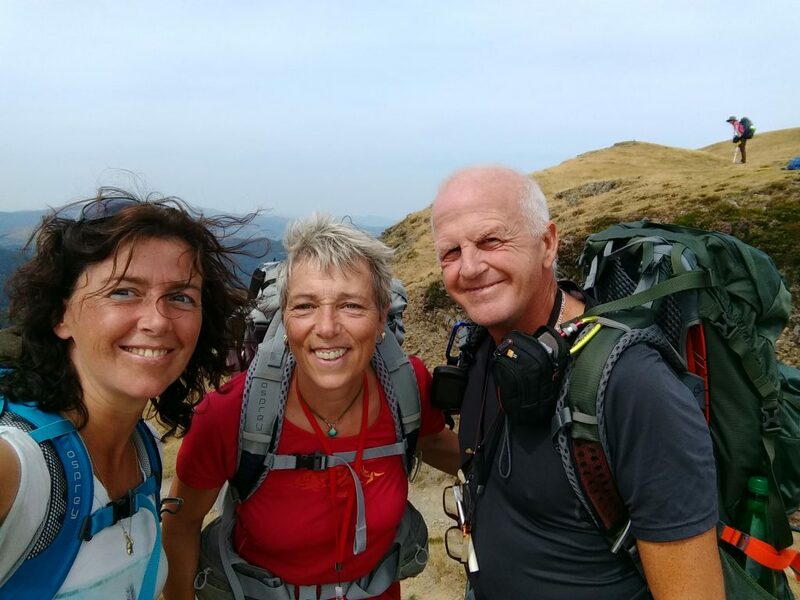 They choosed to walk the Camino Del Norte but wanted to do this challenging first walk across the Pyrenees. I was so lucky to be able to it with them. It felt safe, as Jean Marcel knew so much and we had so much fun together!! The next day I went on and felt good after a good night of sleep at the big albergue in Roncevalles. Big but really clean and good!! The walk was great, I loved the small villages we went through and the scenery was stunning. I was enjoying and feeling blessed to be there the whole day through!! 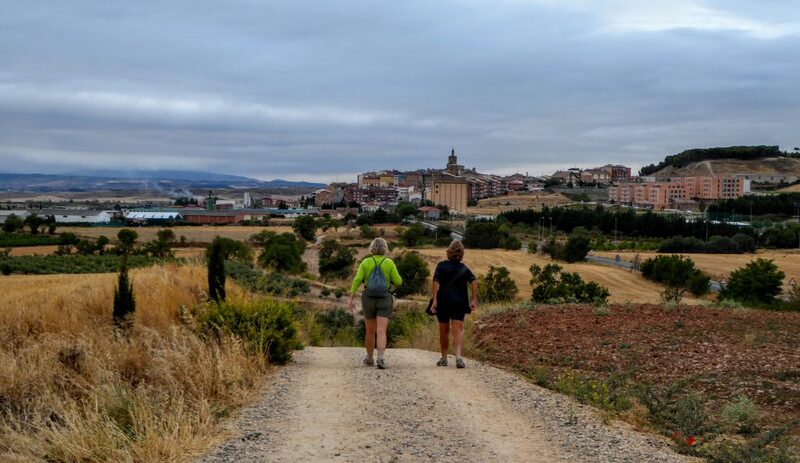 I started this day with two others that I had met during the pilgrimage dinner in Larrasoana but soon I started to walk my own pace and leaving them behind. It went great, using those sticks and pushing myself forward. I went through villages and along great mountains and forests!! The views were great! Seeing the sun rise behind you and lighting the world for you, it feels great to be out that early and seeing the world waking up! I had an apple and eat that just before Trinidad de Arre and dried my socks in the sun. It was warm but I love the warm weather and really enjoy that! After this stop it was 1.15 hrs walking to Pamplona and because I didn’t want to be the tourist to go and explore the city I went on walking to Cizur Minor which my book also recommended to walk this day. 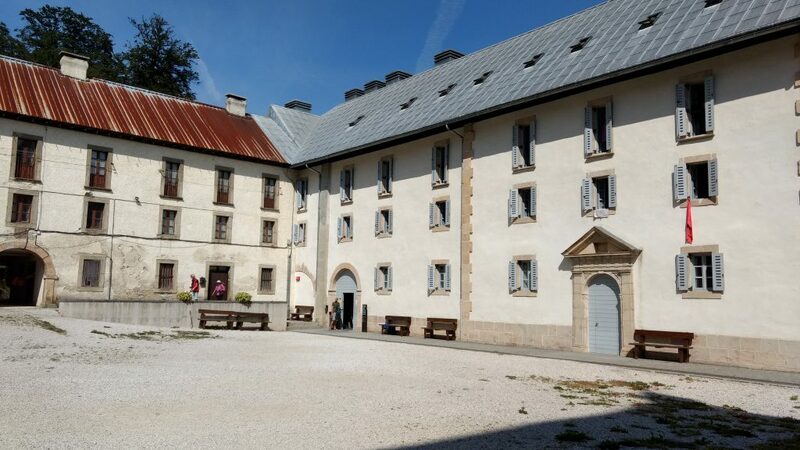 I went to the first albergue and it was great!! After Cizur Minor you get a descend down rocks…easy walking because at this time I had sore shins. The day before I had been massaging them and my feet were treated with cold water, salt and vinigar…to harden my soles. After that it went good but I had to slow down. Take more time to make those K’s! After that first descend we climb to 771 metres and there was the pilgrim monument. A picture I had see before!! I didn’t expect to be there that soon already…obviously I didn’t read my book enough.. 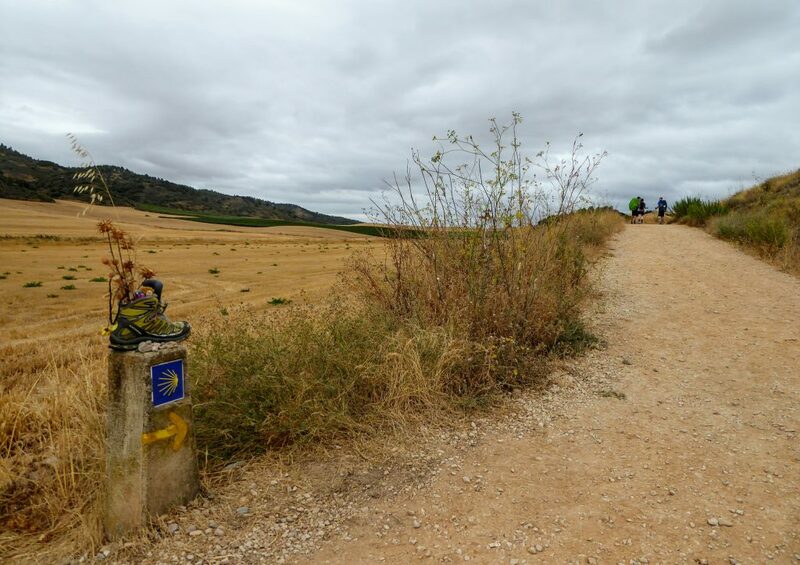 I enjoyed all the views so much, that long road that stretched in front of you….that road called the Camino. 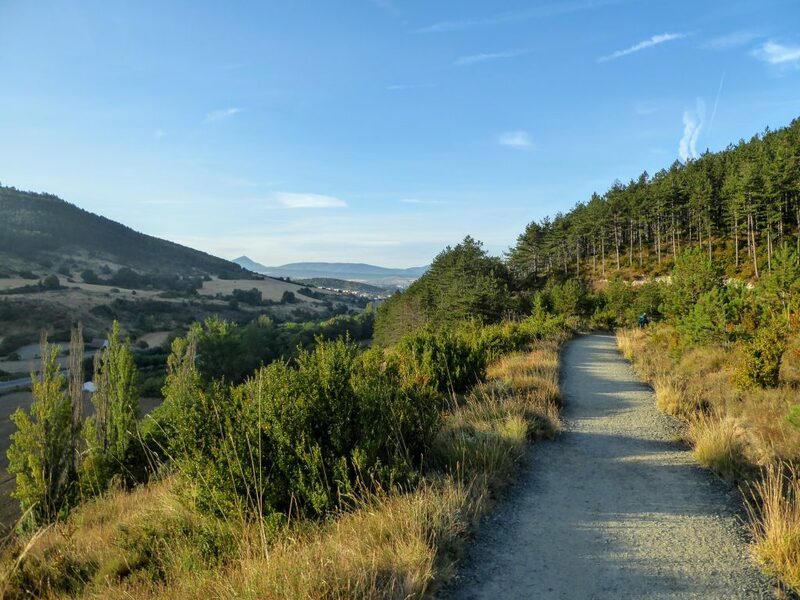 That road, the Camino, that so many people had passed before…walked on… I feels great to be here! To become a part of the community. More and more people are saying Hi, we get to meet eachother day after day. 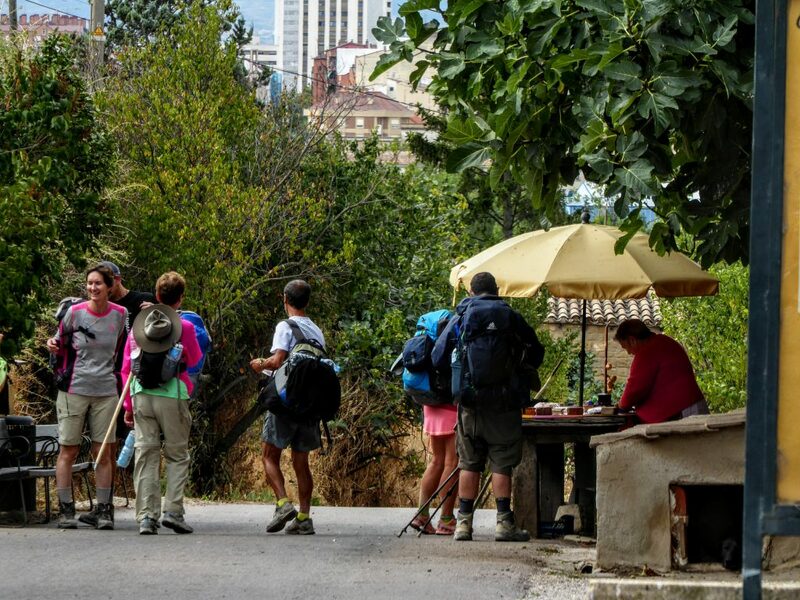 Along the way or in the many albergues in the eveningtime…at the pilgrim dinners… It is great!! The best thing was this day… I went on to another albergue…it was a bit further walking, up a hill also… I was glad I bought an apple and a banana for the next day because I wouldn’t go down again… But then I saw the albergue with a swimmingpool….I didn’t needed to go back down. I had a great afternoon. It was the almost the hottest day with 36 degrees and it was great swimming! 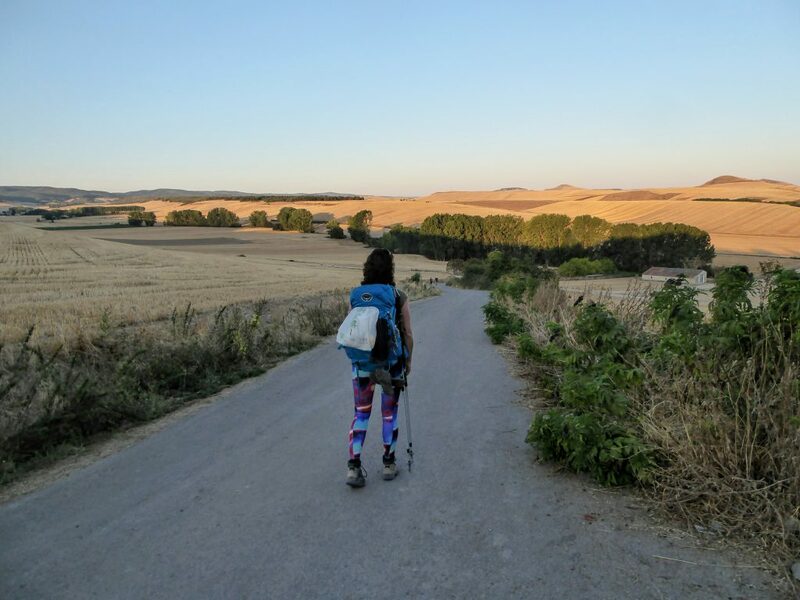 Yoga on the Camino too!! In that next village I found some bread and meat to put on it and while walking I eat it. I didn’t want to take to much time because of the heat. My feet were sweating in my shoes and I wanted to be in Estella to rest and enjoy the rest of the day. I went to Anfas, an alberque that was partially taken care of by mentally challenged people. 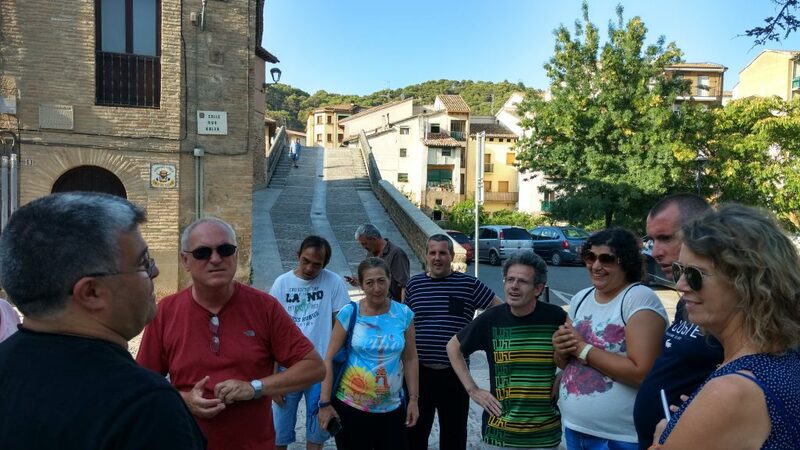 In the evening we got a small tour around the great city of Estella. Great little town with lots of history. Everyday I wake up around 5 and try to sleep till 6 and then walk out of the albergue around 6.30. It’s still a bit dark by then but soon the sun will rise and I hardly need my light. I don’t feel like missing signs in the dark so I’m not the early starter as some. But because I still am a fast walker I don’t get that much later at the place of destination then most others. You see lights in the darkness!! Today most people stopped in the wonderful little town called Los Arcos. I had my lunch there around 11.30 and visited the old church, beautiful!! Torres was still 1.45 hrs walking but I wanted to stick my programm and went on. It was a long boring way but then I could just go walking….no big turns, no stones to trip over just a long way along the hay fields with some stacks on them that were high as houses!! And when I finally did arrive in Torres Del Rio I had a swimmingpool in the albergue again and on the terrace I saw the Canadese couple again. That was nice! 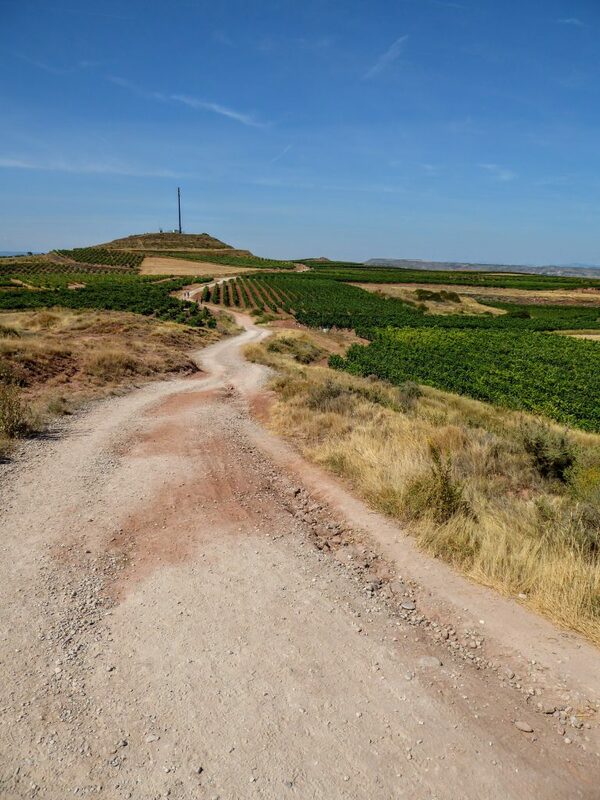 At this day I entered also a new region, the La Rioja region. It is famous for its wine! The scenery was wonderful again. Walking along those winefields and having such wonderful views. The temperature was good, a bit hot….but I do like that! Walking into Logrono I met the ‘famous’ Maria. She gives stamps for you credencial….as her mother did too for a long time. I stopped there to get one too ofcourse. I had seen her on the television in Holland…how could I pass ?? Logrono is a great city to visit. I walked around, had a pizza and saw the famous game of the goose, a big square dedicated to that game…and has ofcourse some influences of the Camino in it.. It became harder on my after this…my pinky toe started to hurt and it had a blister on the tip of it. My heels were a bit blister like…they were underneath the callus…That didn’t felt right.. But I went on and put on other socks every stop to dry the feet. 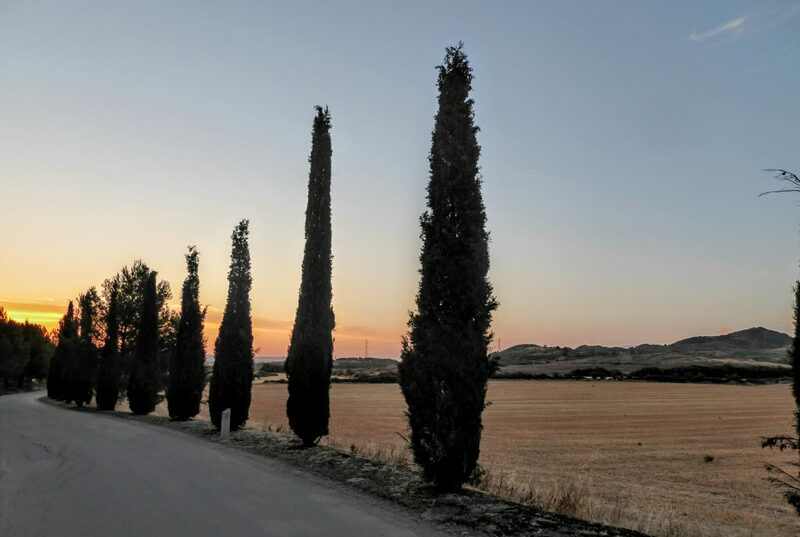 There were 3 bigger stops this day so in Navarrete I changed them and in Ventosa I had a long stop with 2 coffees and a pizza slice I had from Logrono. walking that last 10K went good but when I looked at it in the shower I had a big blister. I asked for a needle and opened it. I walked with flipflops at night so it could dry. This evening I had diner with Phil again, he saw me sitting with two other guys, he was searching for some company, great! He’s a great guy from Seattle I first met in Torres Del Rio. My toe hurted a lot this day. It didn’t feel good. It was swollen again and I had to stick a needle in there again. This time Sandra saw me struggling. She is a British lady from South Africa and gave me a compeed to put over it and I left it on the night and the next day. We had pilgrimage diner at a restaurant on the street, also with Phil again, it was really a nice evening. The scenery is breathtaking. Every day again I bless myself being lucky to be able to walk here! This was just a small report from my 9 days… From my 200 K’s!! 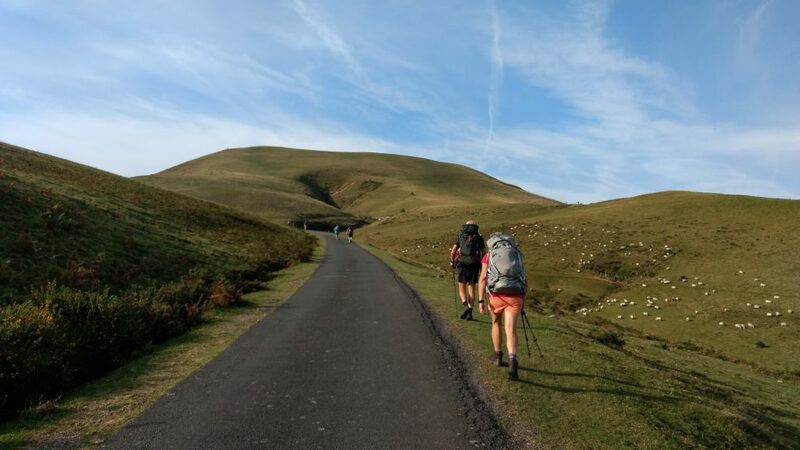 From the first part of my Camino!! I have walked alone for days…. I have walked in company for days… I love them all and enjoyed them all as much! Do you want to read more about this great adventure? Or read how a Pilgrim spends the Day!! Do you get your vaccinations?